November 20, 2018 — On Saturday, the closely watched race for State Superintendent of Public Instruction was called in favor of East Bay Assemblymember Tony Thurmond. We congratulate Mr. Thurmond on securing the office of State Superintendent and we look forward to collaborating with him to advance quality learning for California’s children as he takes the role of governing the state’s Education Department. As Assemblymember, Thurmond was a champion for quality public education. Among his many accomplishments, Thurmond authored AB 2514, a bill recently signed into law that establishes the Pathways to Success Grant Program, providing English learners starting as early as preschool with developmentally appropriate bilingual programs. He pushed for legislation to increase funding for early education and career technical education training and has worked to address issues such as absenteeism, mental health and availability of social service programs in schools to support at-risk students. These and other initiatives are a promising indicator of the work we hope to see in support of the six million students who attend California’s public schools. In particular we look forward to the new State Superintendent’s continued support for Dual Language Learners and bilingual education, the prioritizing of funding to support Early Learning educators and ensuring families have access to quality Early Learning settings before their children even enter the public school system. 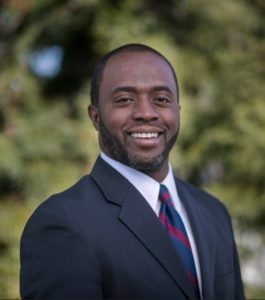 As Superintendent-elect, Tony Thurmond believes in the power of a great public school education to help students succeed regardless of their background. We share his vision and believe that achieving it starts with investing early in our state’s youngest residents. California’s future depends on our ability to help families give their children a quality education regardless of their means, starting at birth. We look forward to continuing to work with and serve as a resource to State Superintendent Thurmond and other lawmakers about the needs of California children, families and educators in order to advance this work.